Since the arrival of these settlers, the Palestinians have lived under siege. 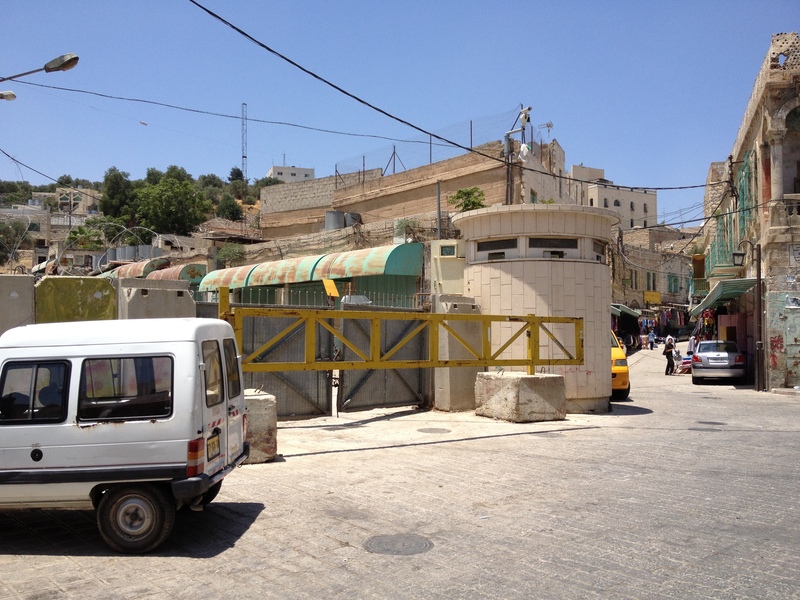 Their main market is covered with fences and tarps—the Israeli solution to the problem of settlers throwing garbage and waste down from above. Palestinian children are escorted to school by international peacekeepers because the settlers constantly harass them. There have been documented cases of settlers throwing stones at the kids as they go to and from classes. 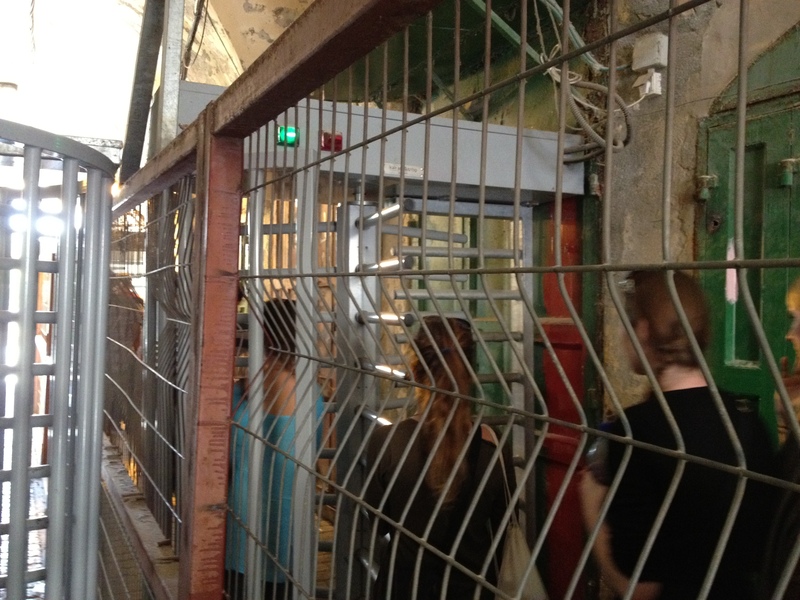 We entered the city under watchful eyes of Israeli soldiers. There are hundreds of soldiers guarding about 500 settlers. The soldiers were on rooftops, at checkpoints, patrolling the city in jeeps. The city is completely segregated. 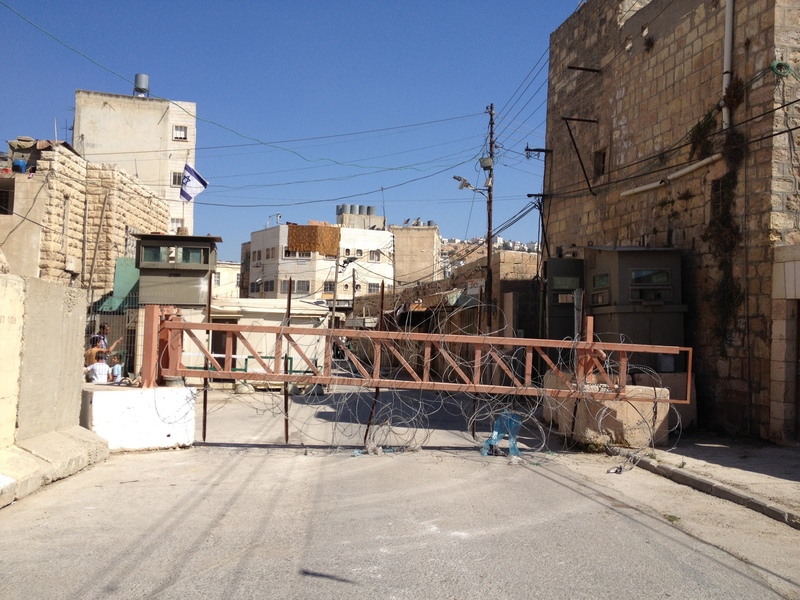 ID checks, roads for Palestinians, roads for Jews, curfews… barbed wire, concrete blocks, walls, and watchtowers everywhere. 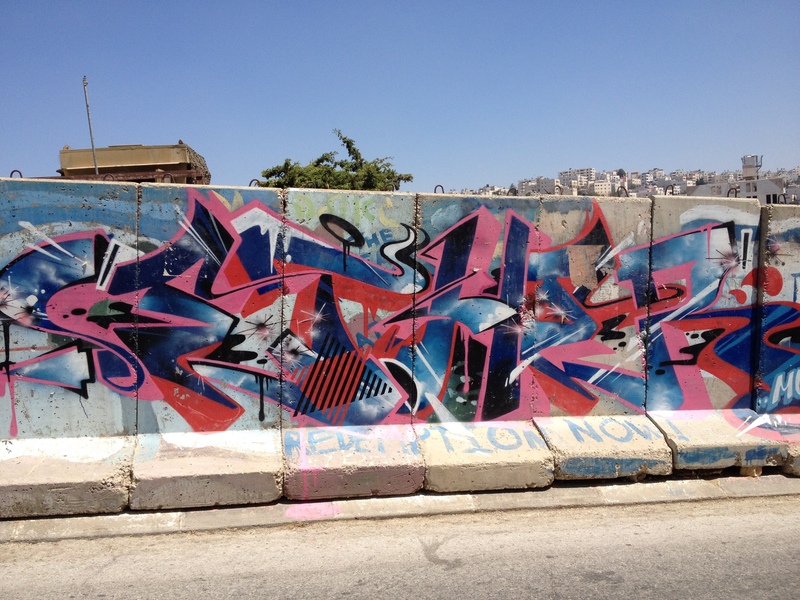 One of the walls looked like it was airlifted in from Berlin. It’s that bad—like stepping back into de Klerk’s South Africa. 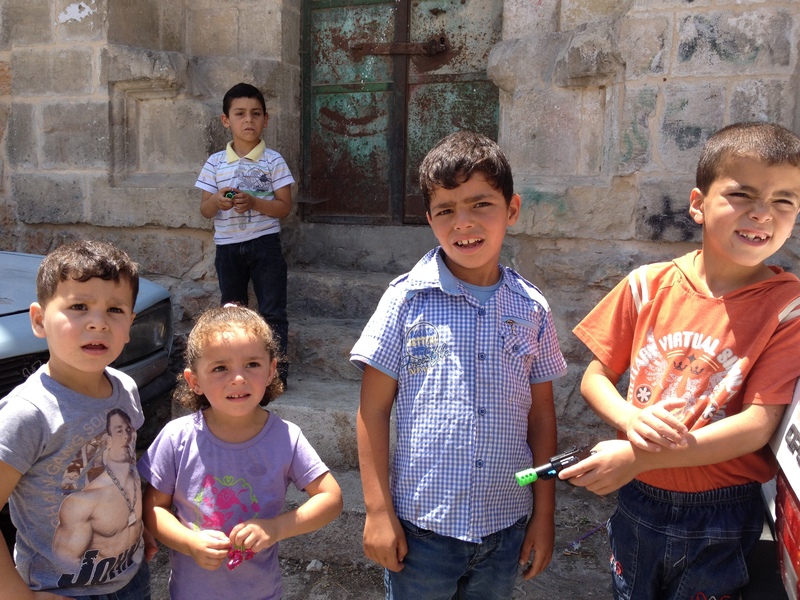 The native majority—Palestinians number about 150,000—is besieged by an occupying minority. During our few hours in the city, we passed through at least four checkpoints and passed by several barriers guarded by Israeli soldiers. The Palestinian residents are constantly harassed. They are subject to random searches and arbitrary curfews. To make matters worse, elderly Palestinians are searched by irreverent young soldiers. Some of these soldiers are from places like America and France, young Jews who have made Aliyah (homecoming) and are now serving in their new country. In 1994 at 4 am, an American doctor entered this mosque with an M-16, massacring close to thirty Muslims and wounding scores of others as they gathered for their morning prayers. The city is completely under siege, and you can’t help but feel for the plight of the Palestinians. 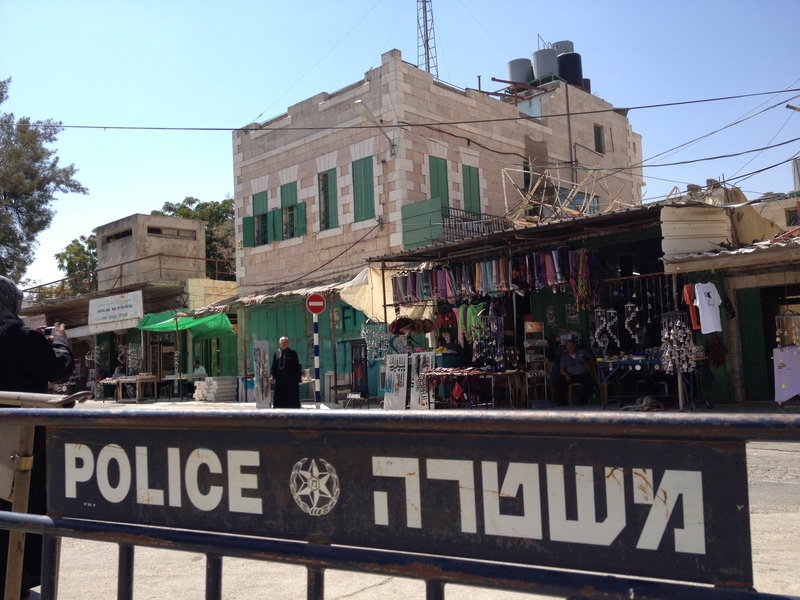 If one of them defends himself from the settlers, or if they lash out verbally or otherwise because of pent up frustration, the whole city is shut down (except for the Jewish side), and it all of a sudden becomes an even more dangerous place to be. The Israeli military presence is there to intimidate. The end goal is the removal—voluntary or otherwise—of the Palestinians. It’s a sick, demographic game. The fewer Palestinians there are in the area, the more difficult it will be to establish a viable Palestinian state. And if the Palestinians get fed up and leave on their own, all the better. 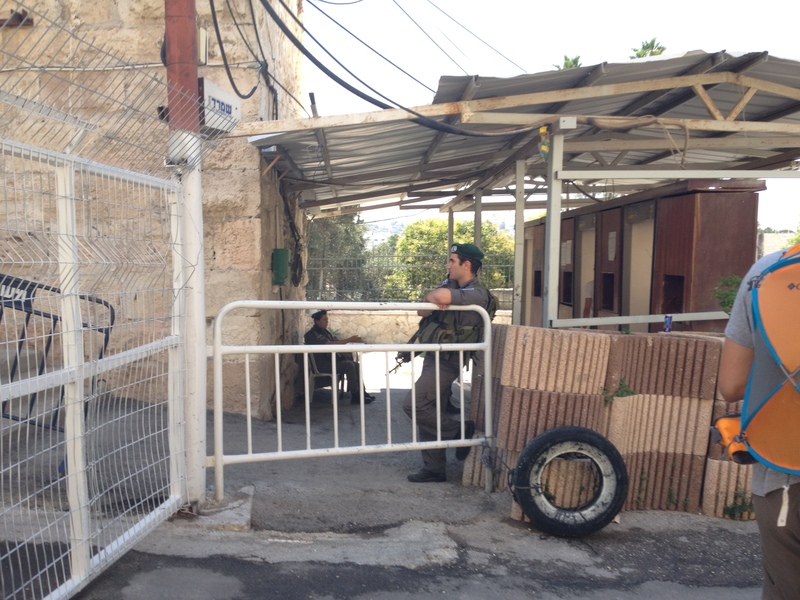 Hebron was shocking, but you have to see it. Google or Youtube it and you’ll get a better sense of what I mean. And all this in Abraham’s city. Berlin Wall? No… Hebron Wall.